Luke Tillen and his team at Babbacombe-based charity, Torbay Holiday Helpers Network (THHN), are only too aware of how important holiday memories are for those families who experience a THHN Holiday. The THHN gives free holidays to families who have seriously ill and bereaved children, recently bereaved families, couples who have lost a child and to families who have a terminally ill parent. 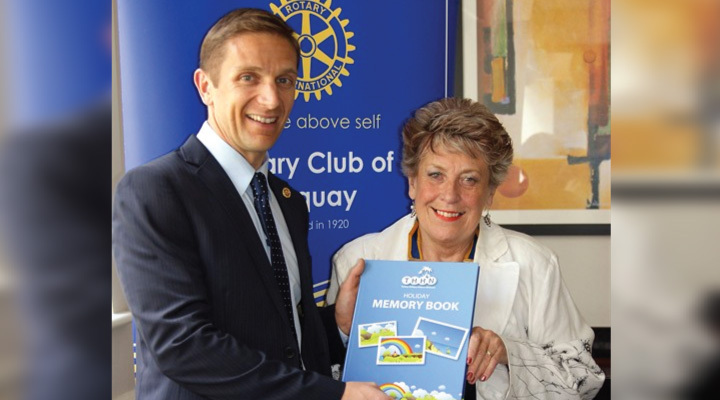 Now, thanks to the Rotary Club of Torquay, when families come on a THHN holiday they’ll also be given a Memory Book. This great new idea is essentially a scrapbook so that families can record what they get up to whilst on their holiday.